Wenshang county, located in southwestern Shandong province, covers an area of 877 square kilometers. 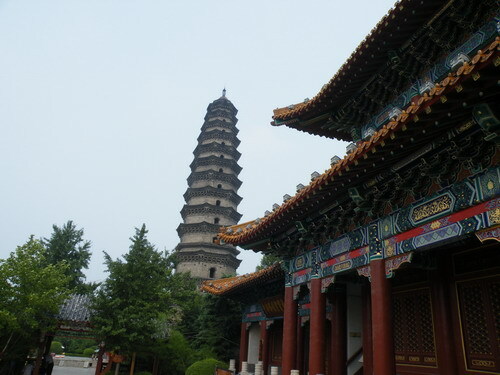 It is one of the birthplaces of Beixin and Dawenkou culture --Neolithic cultures in Shandong. It is known as the Buddhist capital of China as well as the hub of the Grand Canal, the longest canal in the world. Baoxiang Temple in northwest Wenshang is a famous Buddhist tourist shrine and a national 4A scenic area, the second highest ranking on China's national tourism scale. In 1994, 141 holy items, including Buddha's tooth and Buddhist relics, were unearthed in Baoxiang Temple, which was built during the Tang Dynasty (618-907 AD). The Baoxiang palace is currently under construction and is expected to open to visitors by the end of 2013. Lotus Lake Wetland Park in Wenshang county is a provincial wetland park and a national AAA scenic area featuring wetland eco-tourism and cultural tourism. It covers an area of 287 hectares in total, including 134 hectares of water.